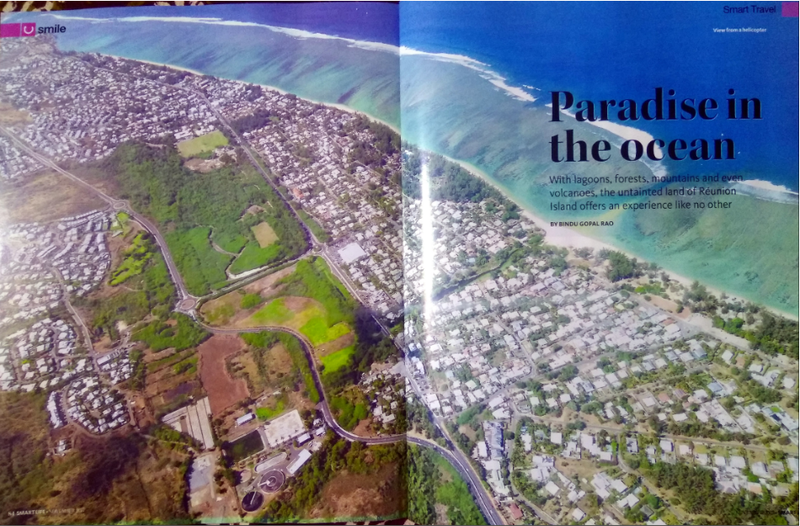 Reunion Islands is a country part of the French Department that is the perfect island holiday with lagoons, forests, mountains and even volcanoes entwined amidst mixed cultures that makes it a holiday like no other. As my flight lowered into the Reunion Islands in the Indian Ocean, I was taken in by the sight of a sea of blue. Peering out of the window, I was besotted to see different shades of aqua, azure, indigo, cobalt and sapphire. Soon I started seeing ships and boats in several colours and alm006Fst magically rose the brown mountains and green forests dotted with homes. For a moment it reminded me of my childhood days when I would paint a postcard like this. As the flight landed, I could see the ocean right next to the runaway and I knew instantly that this was a precursor of more to come. This is an island country where you will be treated to nature in all its pristine beauty. Here are some of the things that must be on your itinerary when you are here. Located on the south west part of the island, the city of Saint-Pierre, is commonly referred to the capital of the South of the islands. With a stunning promenade at its heart, this city has a nice, vibrant feel to it. Start your day with a walk along the harbor and you can see a fleet of boats parked here and catch a wonderful sunrise. The mornings are lovely here as you can walk on the shore that is very different strewn will all kinds of marine stones and shells too. 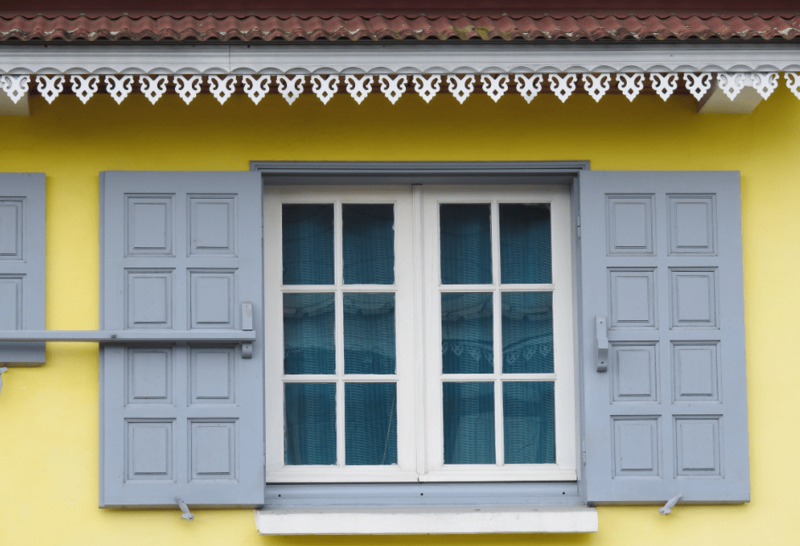 The city itself has lovely colourful buildings built in the typical Creole architecture style with delicate lattice and wood work that add to their distinct charm. Along the promenade you will see different events happening on each day including exhibitions as well as activities for kids like a carousel and more. If you are here on the first Sunday of the month, you can also witness a coordinated group of dancers who move to some fun beats that is bound to make your evening! Since the island has a mixed culture, don’t be surprised when you see typical South Indian temples here. I also saw a procession of the Goddess Kali while I was here! Saint Pierre is a great place to tuck into local cuisine and street food options are aplenty. These include Samoussas – that are similar to the Indian Samosa but are smaller and have a variety of fillings from cheese, fish, pork, chicken and prawn among others as well as the American sandwich which is a huge bread with cheese and French Fries with non-vegetarian fillings. 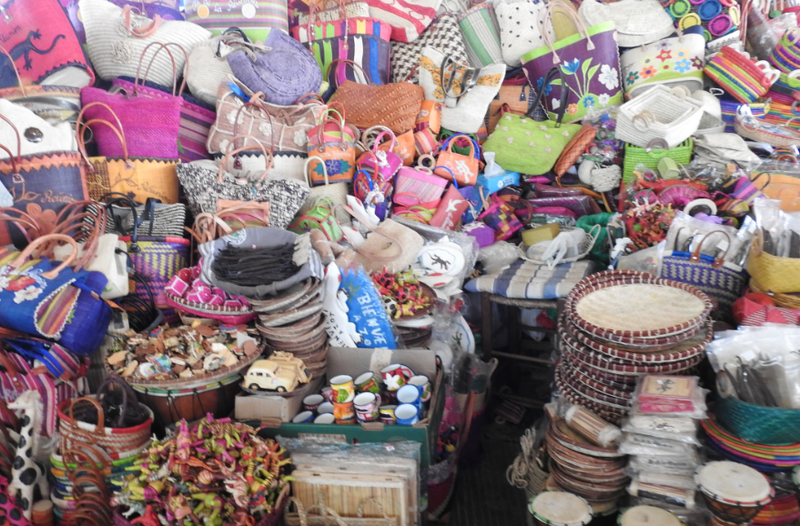 Stop at the Marche Couvert local market to pick up souvenirs like woven baskets, vanilla and turmeric, all made and grown locally. Arguably the biggest attraction of the island is the fact that it is home to one of the world’s most active volcanoes, Piton de la Fournaise (meaning Peak of the Furnace). At 2631 metres in height this is located within the Réunion National Park a World Heritage site. Naturally the place is enticing for nature lovers. 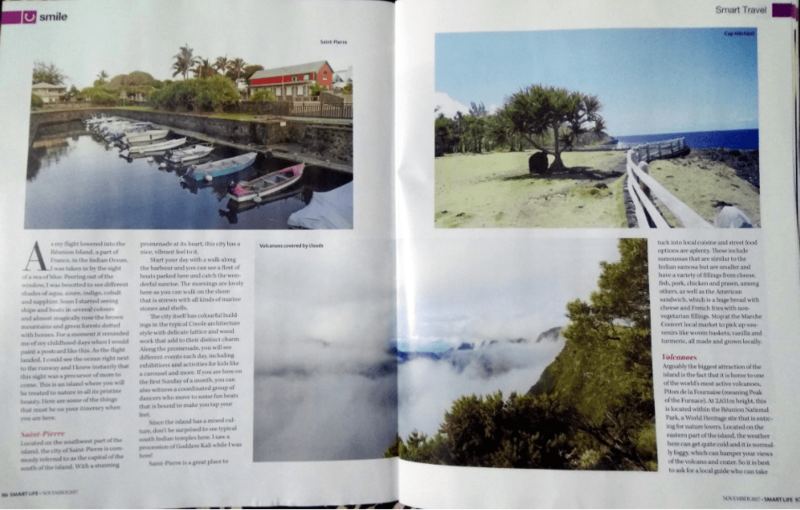 Located on the eastern part of the island, the weather here can get quite cold and it is normally quite foggy here which can hamper your views of the volcano and crater. So it is best to ask for a local guide who can take you here at the right time. This is also a paradise for hikers as there are over 20 hiking trails that will take you to the craters as well so make sure you have the appropriate footwear for the trek. 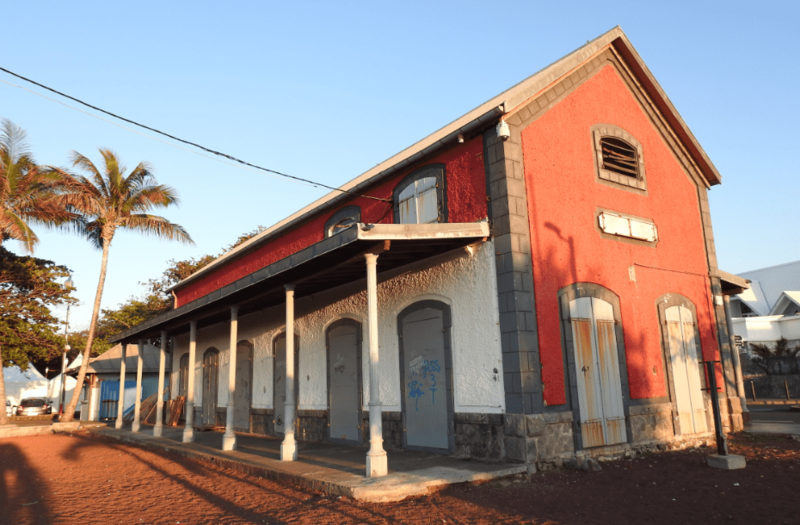 Also stop by at the Cité du Volcan, a unique volcano museum that takes you on an insightful journey of the islands volcanoes as well as their eruptions. In fact there are several films that are played here and one that caught my attention shows how the fiery orange lava and icy blue waters were flowing together during one of the eruptions. The interactive museum needs a couple of hours at least to be covered in its entirety. Piton des Neiges the other dormant volcano is also the highest peak in the Indian Ocean at an altitude of 3071 metres above sea level is another favourite hiking destination here. To see more of the natural vistas head to Grand Anse, a beautiful coral beach which has a rocky lagoon which is ideal for swimming and naturally a favourite with locals and tourists. Likewise Cap Mechant located close by is a lovely view point where you can see the sea from an elevation. Cap Méchant also has several native plants like the seaside vacanas, brown manioc and Zoysia tenuifolia that have unique fruits that look like a smaller and green version of the dragon fruit. An ideal place for picnics, this is where you can take a nice walk and see the waves crash against the rocks below. After this you must go to see another amazing natural sight that of the Lava Flows. Since the volcano here is very active, its lava has flowed in several areas and all of these flows have created paths of their own. In fact if you have the time to explore, you can also explore the caves created by these flows. These flows are marked according to the year they occurred and the patterns that they have created are completely amazing. It is great fun to see things from the top and what better way than to see the islands from a helicopter? Well if that is what you want you can do exactly that by using a chopper service like Helilagon that offers tours of varying durations that allow you to see the natural beauty of the islands. 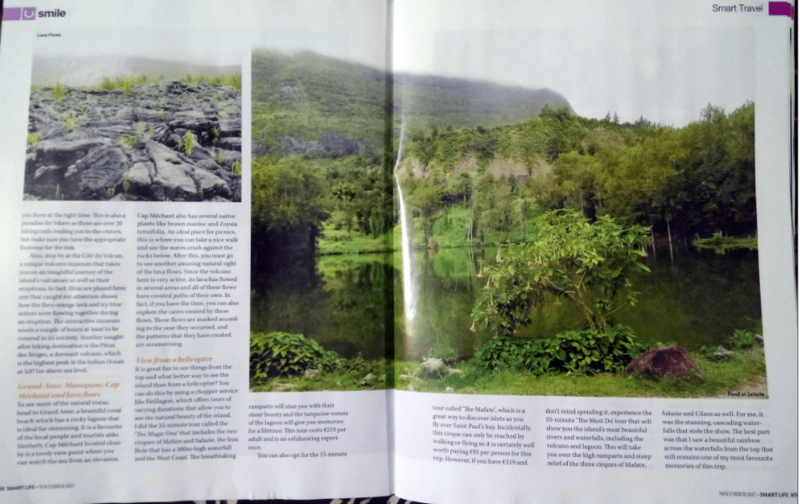 I did the 25 minute tour called the The Magic One that includes the two cirques of Mafate and Salazie, the Iron Hole that has a 300m high waterfall and the West Coast. The breathtaking ramparts will take your breath away with their sheer beauty and the turquoise waters of the lagoon will give you memories for a lifetime. This tour costs €210 per adult and is an exhilarating experience. You can also opt for the 15 minute tour called ‘The Mafate’ which is a great way to discover islets as you fly over Saint Paul’s bay and discover how nature looks when it is well preserved. Incidentally, this cirque can only be reached walking or flying so it is certainly well worth paying €95 per person for this trip. However if you have €319, experience the 55 minute ‘The Must Do’ tour that includes the island’s most beautiful rivers and waterfalls, including the volcano and lagoon. This will take you over the high ramparts and steep relief of the three cirques of Mafate, Salazie and Cilaos as well. For me it was the stunning cascading waterfalls that stole the show and the best part was that I saw a beautiful rainbow across the waterfalls from the top that still remains one of my most favourite memories from this trip. 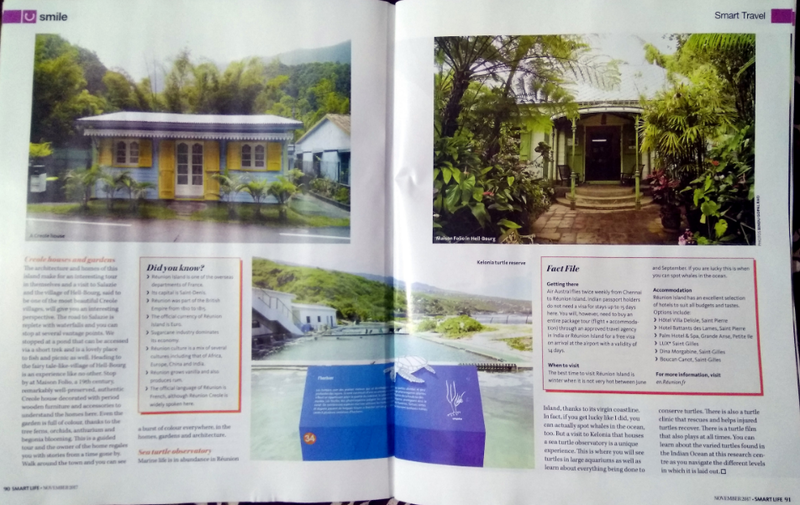 The architecture and homes of this island make for an interesting tour in themselves and a visit to Salazie and the village of Hell-Bourg, said to be one of the most beautiful creole villages will give you an interesting perspective to your trip. The road to Salazie is replete with waterfalls and you can stop at several vantage points. We also stopped at a pond that can be accessed via a short trek and is a lovely place to fish and picnic as well. Heading to the fairy tale like village of Hell-Bourg is an experience like no other. Stop by at Maison Folio, a 19th century remarkably well preserved authentic Creole house decorated with period wooden furniture and accessories to understand the homes here. Even the garden here is full of colour thanks to the tree ferns, orchids, anthurium and begonia blooming here. This is a guided tour and owner of the home regales you with stories from a time gone by which is sure to make your day. Walk around the town and you can see a burst of colour everywhere in the homes and architecture. 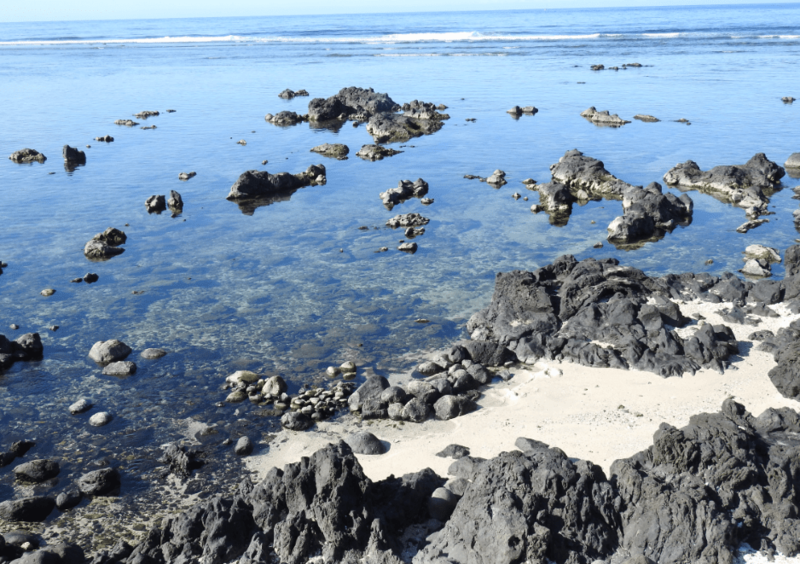 Thanks to the virgin coastline, marine life in the Reunion Islands is seen in abundance. In fact if you get lucky like I did you can actually spot whales in the ocean too. But a visit to Kelonia that houses a sea turtle observatory is another experience by itself. This is where you will see turtles in large aquariums as well as learn everything being done to conserve turtles. There is also a turtle clinic that rescues and helps injured turtles recover. Located over several levels, there is a turtle film that also plays at all times. 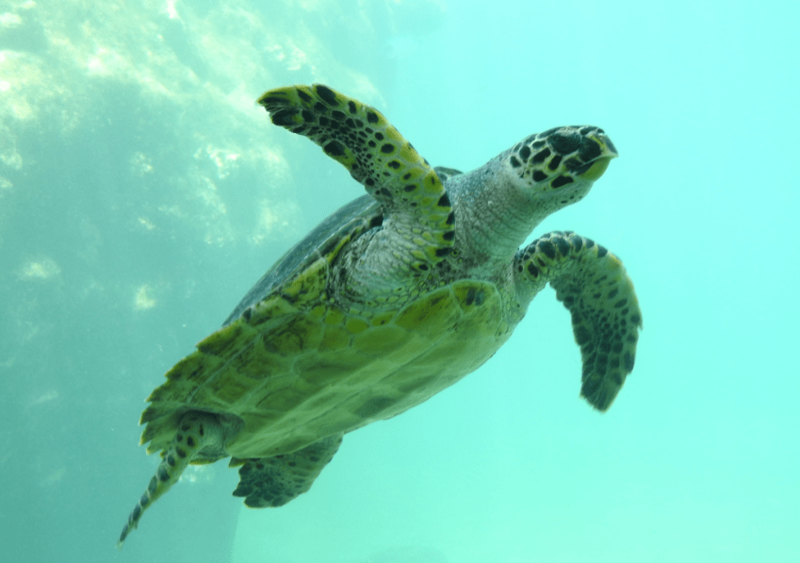 You can learn about the different turtles found in the Indian Ocean at this research center as you navigate the different levels in which this center is laid out. Reunion Island is one of the overseas departments of France. Reunion was part of the British Empire from 1810 to 1815. Sugarcane industry dominates the economy. Reunion culture is a varied mix of other cultures including Africa, Europe, China and India. Reunion grows vanilla and also produces rum. The official language of Reunion is French, although Reunion Creole is a widely spoken. 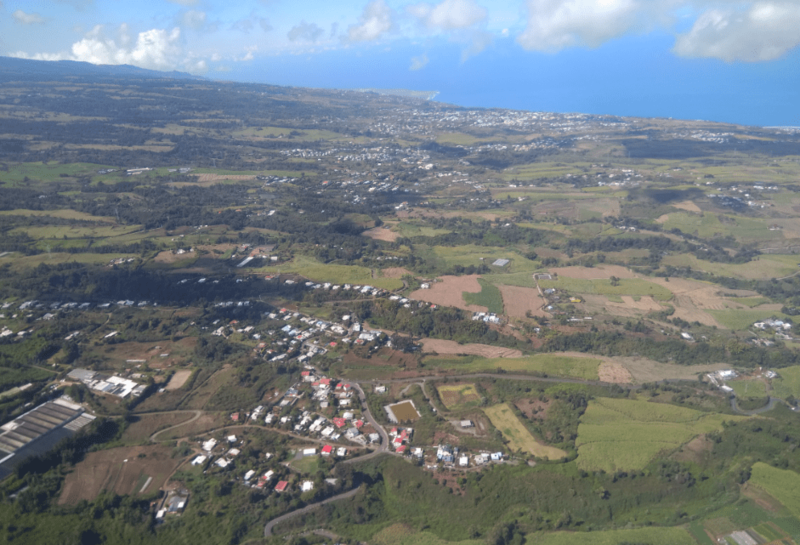 Air Austral flies twice weekly from Chennai to Reunion Islands. To enter Reunion Islands, Indian passport holders do not need a visa for stays upto 15 days. You will however need to buy an entire package tour (flight + accommodation through an approved travel agency in India or Reunion Islands for a free Visa on Arrival at the airport with a validity of 14 days. The best time to visit Reunion Islands is between June and September when it is winter and it is not very hot. If you are lucky this is when you can spot whales in the ocean too.